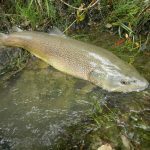 Choose among alpine and chalk streams that are full of marble trout, rainbow trout, grayling, brown trout, white fish, huchen and other interesting fish species. Tržiška Bistrica: From Jelendol to Tržič the Bistrica runs mostly through the canyon well known as “Dovžanova soteska”. 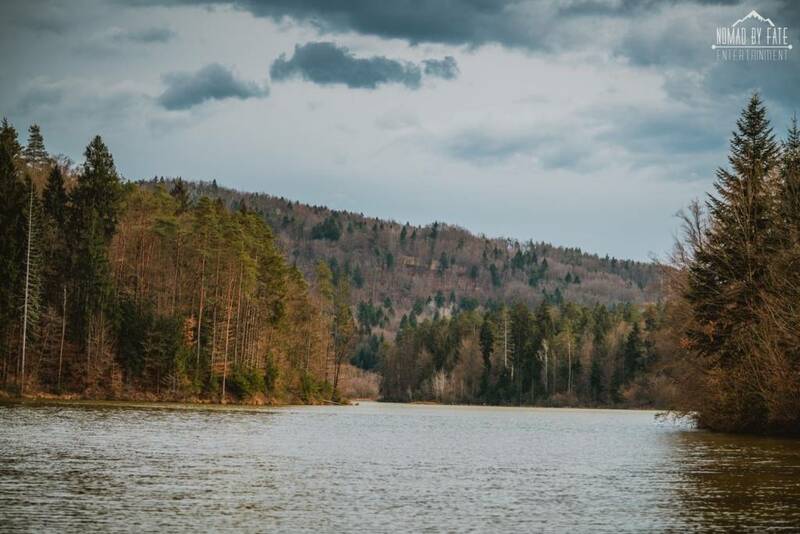 The current steadies itself from Tržič to the outflow into the Sava with bigger dams and thresholds that make fishing even more interesting. Krka: The riverbed of the river Krka is composed of many natural thresholds, which are sheated in tufa (a variety of limestone). Many pools and cascades are overgrown with green moss and offer many hiding places for the fish. The water temperature is relatively stable, so that the living conditions for fish are always optimal. 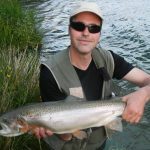 Ljubljanica: The slow current in the usual water levels represents great joy for all the fishermen who float fish when they wait for the first class specimen to be caught. Where the waters are deep, the river vegetation is scarse and the fish gather here in larger numbers. Sava Radovljica and Sava Tržič: This district expands from Cajhnov’s dam to Rakovnik. 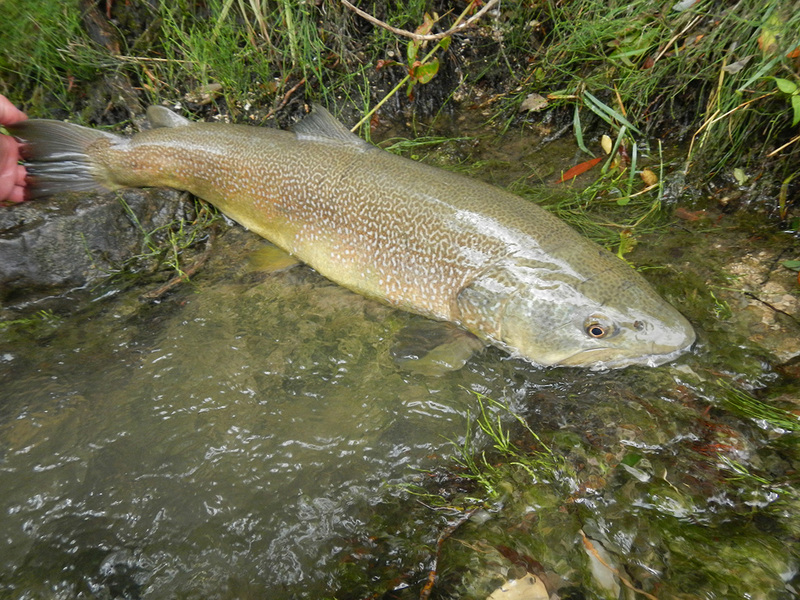 Every year approximately 20,000 of two year old brown trouts are being put back into the waters ; the trouts that were grown in the breeding streams- along with approximately 3,000 kg of graylings. Lipnica: The creek accummulates its waters on the northeast slopes of the plateau Jelovica, from which three major creeks flow into the Lipnica. Vipava (Ajdovščina): The district includes the whole current of the river Vipava, which is managed by the RD Ajdovščina. 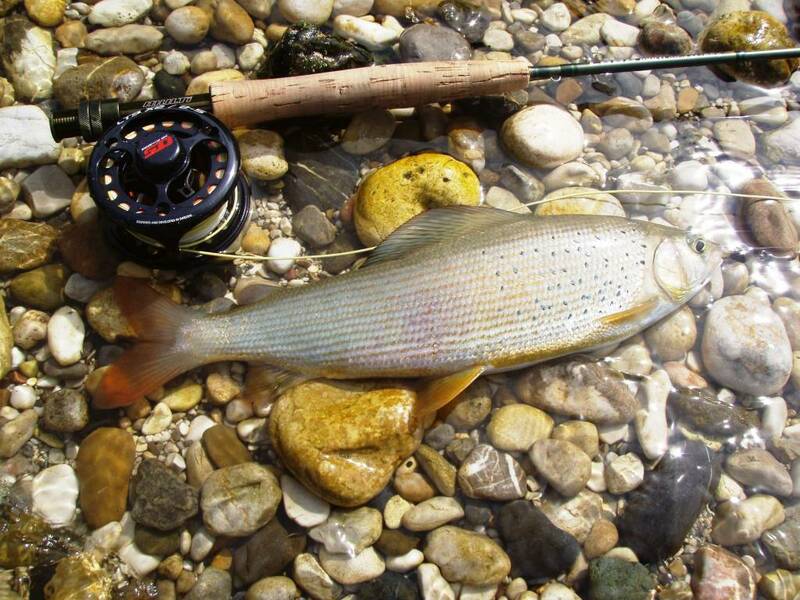 The district is further divided in to two subdistricts: Vipava fly fishing district and cyprinid district. 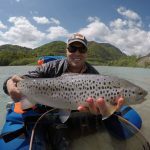 All the fish species of our fishing environment can be found in this district : trophy marble trouts, hybrids, brown trouts, natural rainbow trouts and graylings. 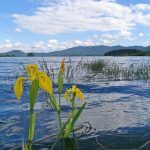 Sava Dolinka AC Moste: This district offers the strongest possibility of grand catch. It is possible to fish even using water vehicles ( boats, rubber boats…) up to the sign for the power plant approximately 50 m before the end of the dam. Radeščica: The Radeščica is a right tributary of the river Krka below Soteska. Its source is in a karst lake at the foot of Kočevski Rog. 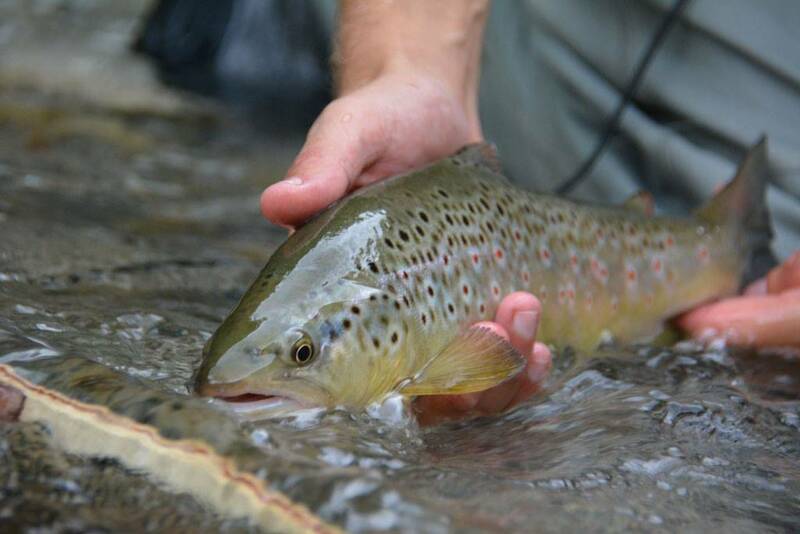 A few kilometers long stream runs past Dolenjske Toplice and is in full flow well inhabited by brown and rainbow trouts, graylings join them in the lower part. 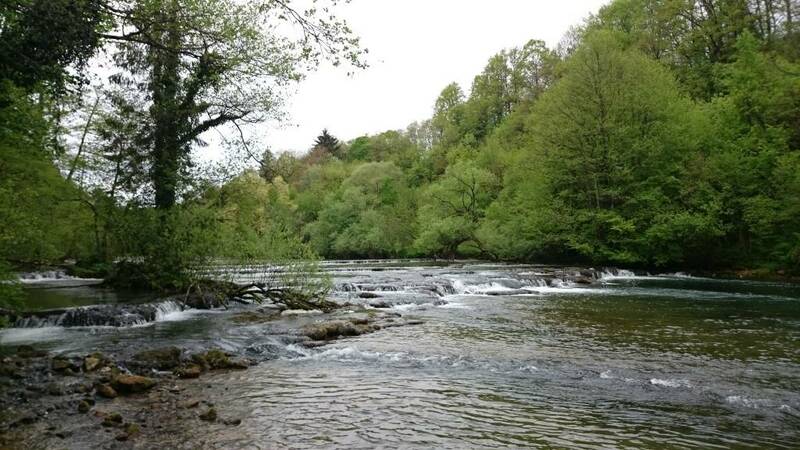 Dreta: The district has excellent conditions for fly fishing, but the fishermen must be experienced because the banks are covered with river vegetation. 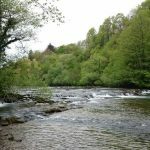 You can find all the salmonid species here ( brown trout, grayling, rainbow trout and huchen) as well as some cyprinids ( barbel, chub). 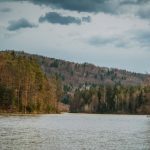 Savinja: This district has five dams. 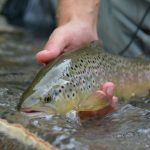 It offers excellent conditions for fly fishing. You can find all the salmonid species ( brown trout, grayling, rainbow trout, huchen) as well as some cyprinids ( barbel, chub). 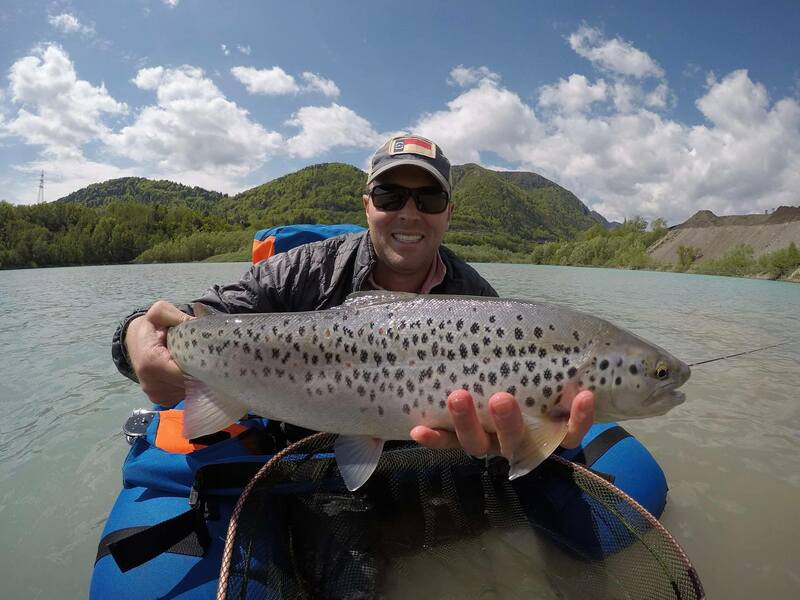 Soča (Nova Gorica): Besides the indigenous marble trout you can find wide spectrum of fish here: hybrids, brown trouts, graylings, rainbow trouts and even some first class specimens of european chubs and italian barbels. Šmartinsko jezero: The lake Šmartinsko jezero is the current record holder for the biggest (heaviest) carp ever caught in Slovenia which weighs 34,60kg. It was caught and released in November 2013. 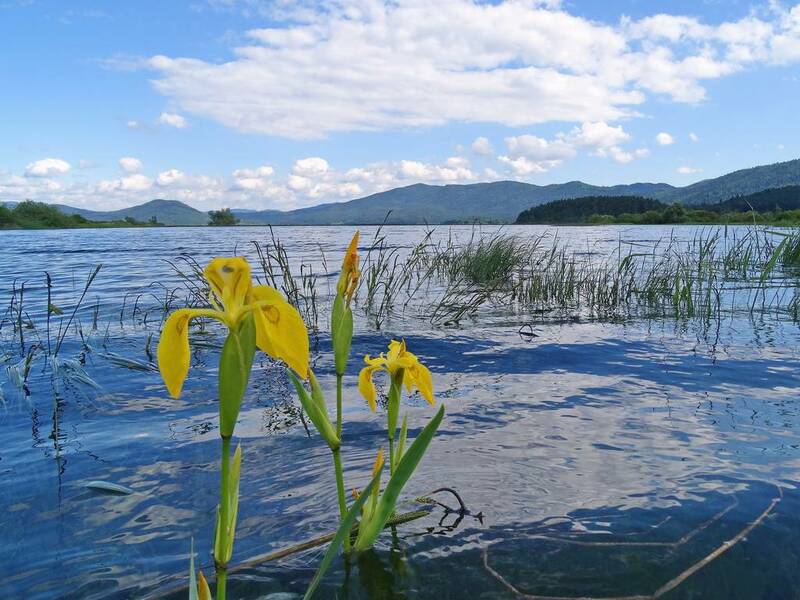 Slivniško jezero: Many different fish species were put in the lake: grass carp, silver bream, gibel carp, asp, ide, chub, crucian carp, carp, tench, perch, common bream, common nase, common roach, common rudd, zander, catfish, pike, silver carp and bleak. 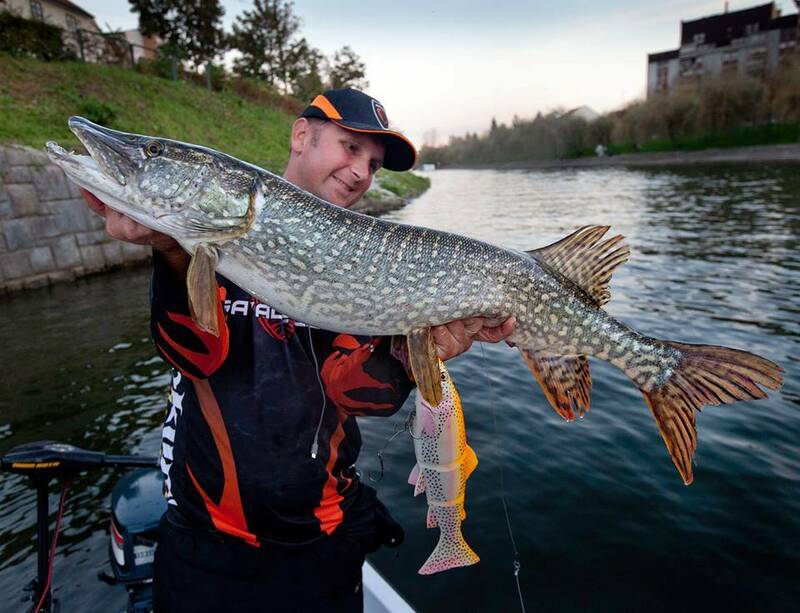 Vogršček: Due to excellent conditions (higher temperatures) and constant putting in of fish the lake is full of large and feisty fish:carps, pikes and tenches. Mola: The lake offers you the unique and exciting fishing for some first class carps, grass carps, pikes and zanders. On the lake Mola there is also a carp district where we fish only by principle Catch and Release. Ljubljanica: The river Ljubljanica is heaven for fishermen! Mostly for the ones who float fish or fish for pikes but also for the ones who fly fish for cyprinids. 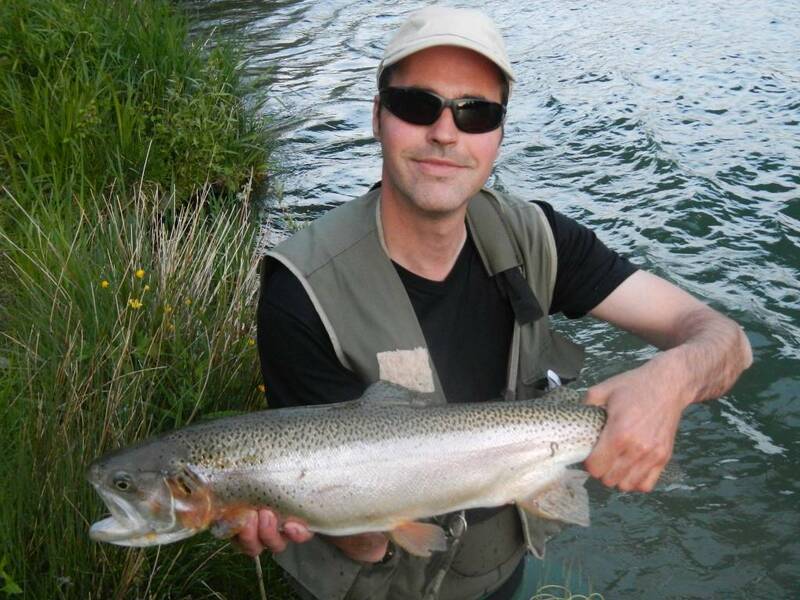 There is plenty of fish, the most common to get caught are Danube roaches, roaches, carps, pikes and big huchens. 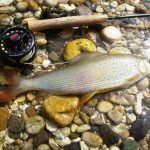 Krka: The central and lower part of the fishing district on the river Krka are rich with many cyprinid species, among which dominate Danube roaches, chubs, common nases, pikes and catfish. Cerkniško jezero: The lake Cerkniško jezero is home mostly to some first class pikes, chubs, tenches and carps. Fly fishing for huge common rudds and cautious perches has been very popular lately ; these fish can grow up to 50cm here.